How adorable is this? A lil 5x5 Christmas Card from the Stretch your Imagination Cartridge. Very cute indeed. The snowflakes were a little bit of a pain. 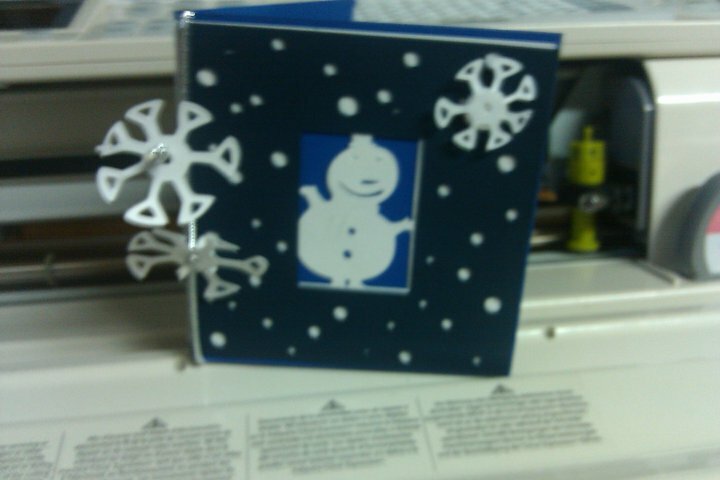 One cut on it's own and the other 2 you had to do the card feature (little tag type thing) and then cut the snowflake out of there. They were so intricate that I just printed smaller sizes of the individual one. Still turned out cute I thought.